Gilberto is a Brazilian born artist who has studied at both the V.A. Surikov Institute Moscow and the I.E. Repin State Institute of Painting, Sculpture and Architecture in St. Petersburg, Russia. He currently lives and works in St. Petersburg, but has been traveling internationally to instruct workshops. 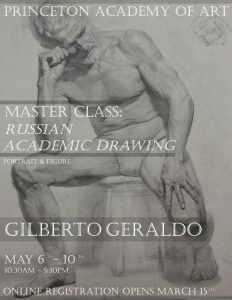 This workshop will focus on portrait and figure drawing in the Russian academic tradition. Spaces still available sign up today! 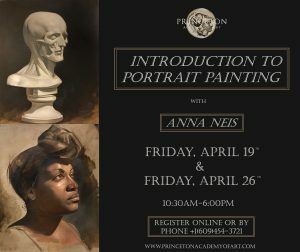 Learn the structure of the human skull in order to further understand painting the portrait. 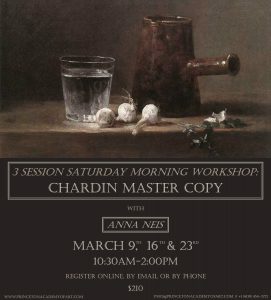 This course will be part lect, part painting from our collection of casts. Saturday Mornings, 10:30am – 2:00pm. Check the live calendar for more details.